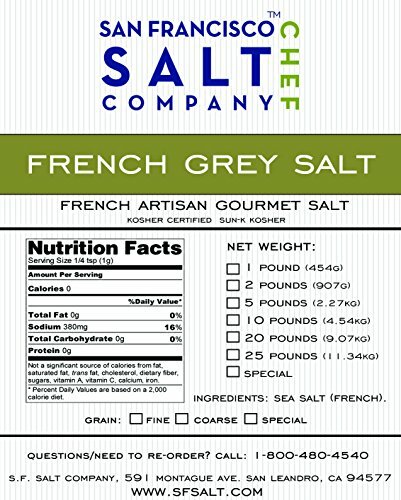 All-natural French Grey Salt. 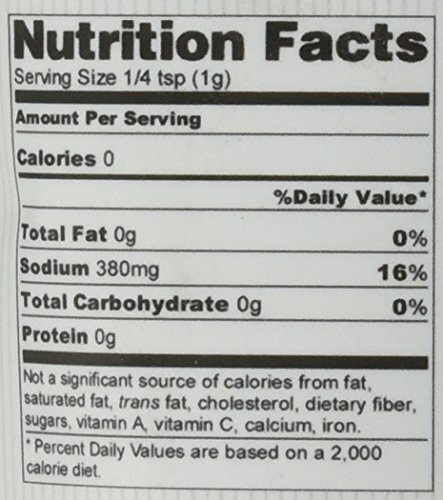 Choose your grain size: Fine - favored option for sprinkling on food/cooking. 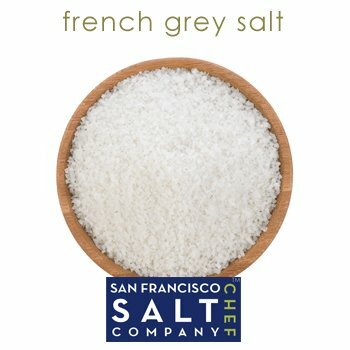 Coarse - you will require a grinder to grind this salt for meals purposes. 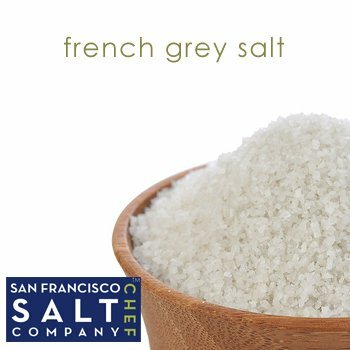 Salt colour: normal light grey Salt origin: Guerande, France *Please note: Due to its organic harvesting approach, this salt may possibly arrive slightly damp because of moisture in the salts. 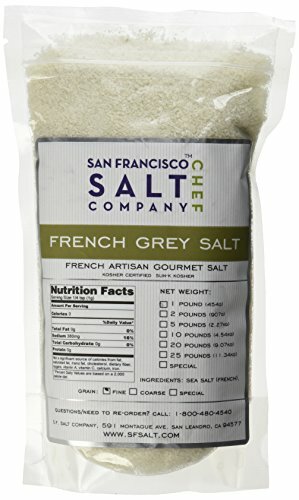 PROFESSIONAL CHEF SALT with AMAZING FLAVOR - 100% Natural French Grey Salt has a wonderful, mild flavor making it extremely versatile. Use on meats, chowders, shellfish, soups, pastas, sauces and more. 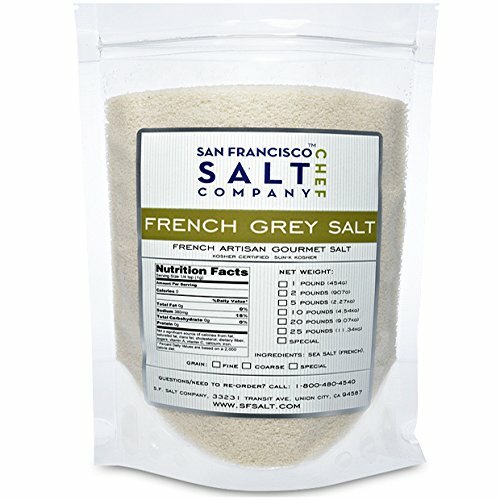 YOUR FOOD WILL TASTE BETTER - Instantly improve the taste of your dishes with a sprinkle of all natural French Grey Salt. Carries the highly distinguished 'Nature & Progrès' certification label from Guérande, France. AUTHENTIC & HAND HARVESTED - Harvested in the CELTIC region of France using techniques more than a thousand years old. Certified Kosher. 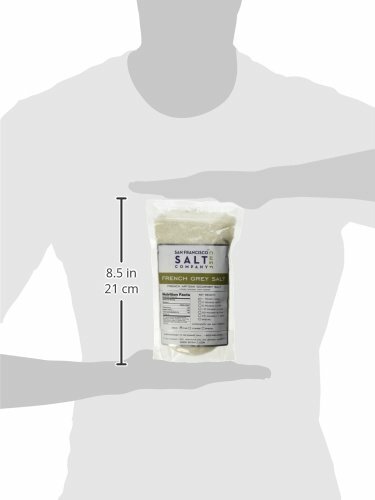 PLEASE NOTE: Due to its natural harvesting process, French Sea Salt may arrive slightly damp because of moisture in the salts (varying range of dry to damp is normal depending on the harvest). AVAILABLE IN FINE OR COARSE GRAIN - Choose Fine Grain to sprinkle directly on food or Coarse Grain for use in a salt mill/grinder. SEE IMAGES AT LEFT TO COMPARE GRAIN SIZES.